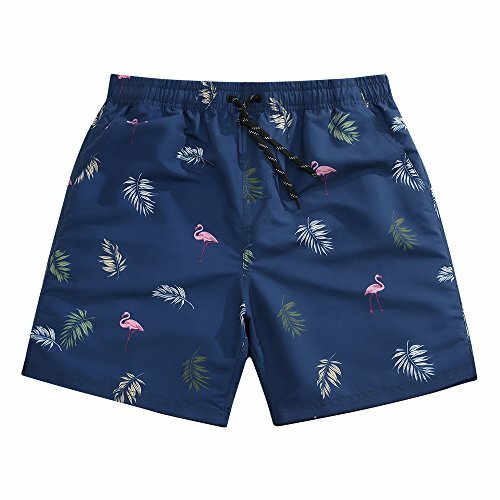 2018 SULANG Newest Retro Style 16" Outseam Fashion Board Shorts - Ultra Quick Dry and Lightweight with vibrant and stylish graphic designs. This short Mens swim trunks featuring 5" Inseam, comfortable elasticized waistband with drawstring cord, two side & one back pockets provide convenient storage; NO Mesh Lining or Liner inside. Comfortable for various sports and beach activities, including beach volleyball, soccer, swimming, surfing, running, walking, water park sliding, etc. CLASSIC & FASHION - 16" (4" above the knees) outseam length provides you more flexibility and mobility; Unique and vibrant graphics get you numerous compliments. For your best satisfaction, double check the SIZE CHART and the last picture of size & length demostration before placing the order. If you have any questions about this product by SULANG, contact us by completing and submitting the form below. If you are looking for a specif part number, please include it with your message.